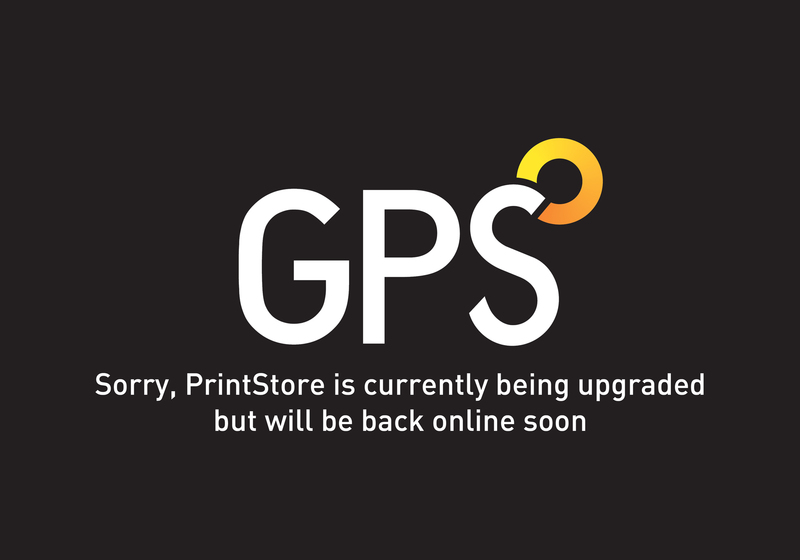 Terms and Conditions | GPS Colour Graphics - FSC Certified printer and Carbon Neutral company. Commercial printers Belfast, Northern Ireland. Quotations are based on the current costs of production and are subject to amendment by the printer on or at any time after acceptance to meet any rise or fall in such costs. The printer shall be entitled to charge the amount of any Value Added Tax payable whether or not included on the quotation or invoice. Proofs of all work may be submitted for customer's approval and the printer shall incur no liability for any errors not corrected by the customer in proofs so submitted. Customer's alterations and additional proofs necessitated thereby shall be charged extra. When style, type or layout is left to the printer's judgement, changes therefrom made by the customer shall be charged extra. (a) Delivery of work shall be accepted when tendered and thereupon, or, if earlier, on notification that the work has been completed the ownership shall pass and payment shall become due. (b) Unless otherwise specified the price quoted is for delivery of the work to the customer's address as set out in the estimate. A charge may be made to cover any extra costs involved for delivery to a different address. (e) Should GPS Colour Graphics Ltd receive advice of an unpaid cheque or other instrument of payment credit terms previously offered shall be revoked. Every endeavour will be made to deliver the correct quantity ordered, but quotations are conditional upon a margin of 10 per cent being allowed for overs or shortage, the same to be charged for or deducted at the run-on rate. Claims arising from damage, delay, or partial loss of goods in transit must be made in writing to the printer and the carrier so as to reach them within three days of delivery and claims for non-delivery within 28 days of despatch of the goods. All other claims must be made to the printer within ten days of delivery. The printer shall not be liable in respect of any claim unless the aforementioned requirements have been complied with except in any particular case where the customer proves that (a) it was not possible to comply with the requirements and (b) advice (where required) was given and the claim made as soon as reasonably possible. The printer shall not be liable for indirect or consequential loss or for any loss to the customer arising from third party claims occasioned by errors in carrying out the work or by delay in delivery. (a) Metal, film, glass and other materials owned by the printer and used by him in the production of type, plates, moulds, stereotypes, electrotypes, film-setting, negatives, positives and the like shall remain his exclusive property. Such items when supplied by the customer shall remain the customer's property. (b) Type may be distributed and lithographic, photogravure or other work effaced immediately after the order is executed unless written arrangements are made to the contrary. In the latter event, rent may be charged. (a) Except in the case of a customer who is not contracting in the course of a business nor holding himself out as doing so, customer's property and all property supplied to the printer by or on behalf of the customer shall while it is in the possession of the printer or in transit to or from the customer be deemed to be at customer's risk unless otherwise agreed and the customer should insure accordingly. (b) The printer shall be entitled to make a reasonable charge for the storage of any customer's property left with the printer before receipt of the order or after notification to the customer of completion of the work. (ii) in respect of all unpaid debts due from the customer have a general lien on all goods and property in his possession (whether worked on or not) and shall be entitled on the expiration of 14 days' notice to dispose of such goods or property in such manner and at such price as he thinks fit and to apply the proceeds towards such debts. (iii) in the event of insolvency, ownership of any goods, supplied by GPS Colour Graphics Ltd, shall not pass to any third party, such as liquidator, receiver, administrator, etcetera. The goods must not be used until payment has been received. All sums due from customer to the printer which are not paid on the due date shall (without prejudice to other remedies) bear interest from day to day at the annual rate of 10% over the base lending rate of Northern Bank plc from the date of the invoice until the date of payment in full whether or not after judgement; and the customer shall reimburse any legal or other costs and expenses incurred by GPS Colour Graphics Ltd in pursuing an overdue payment and the amount of any such costs and expenses shall be a debt due to GPS Colour Graphics Ltd immediately upon notification thereof to the customer. (b) The printer shall be indemnified by the customer in respect of any claims, costs and expenses arising out of any libellous matter or any infringement of copyright, patent, design or of any other proprietary or personal rights contained in any material printed for the customer. The indemnity shall extend to any amounts paid on a lawyer's advice in settlement of any claim. A contract for the printing of a periodical publication may not be terminated by either party unless 13 weeks notice in writing is given in the case of periodicals produced monthly or more frequently or 26 weeks notice in writing is given in the case of other periodicals. Notice may be given at any time but wherever possible should be given after completion of work on any one issue. Nevertheless the printer may terminate any such contract forthwith should any sum due thereunder remain unpaid. These conditions and all other express terms of the contract shall be governed and construed in accordance with the laws of the country.